Time to relax and enjoy life in this waterfront 2 bedroom 2 bath Villa in desirable Kings Point! With 1974 sq. ft. of space this meticulously maintained villa has it all. You do no have to worry about property maintenance as it is included in the monthly HOA fee. Included is water, phone, cable, lawn and all the amenities that Kings Point has to offer. The club house offers daily activities as well as a pool, shuffle board and tennis. Enjoy year round golfing at the nearby golf course. 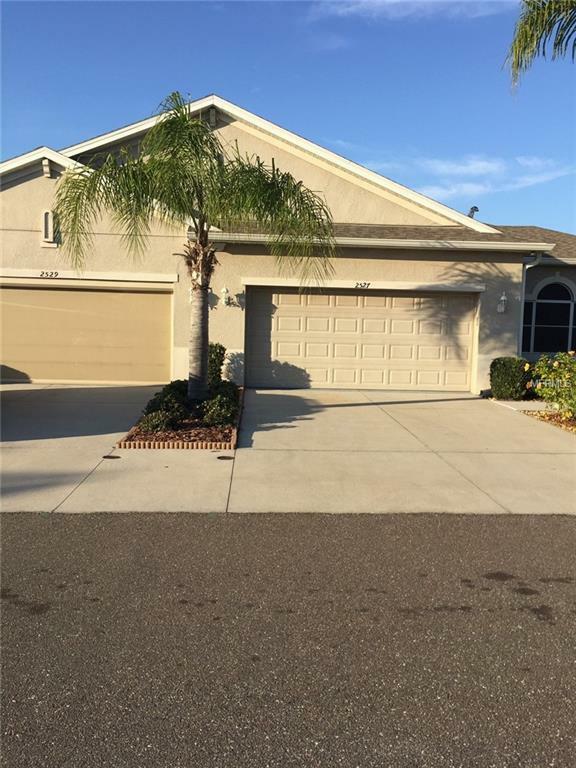 This home features a 2 car garage, utility room with counter, sink and storage space, hardwood floors, granite counters plus the lanai is closed in with AC and heating! The spacious kitchen has a wall mounted oven, glass top stove, under cabinet lighting and granite counters. 2 spacious bedrooms and 2 full baths make it ideal for company and the den can easily fit a sleeper sofa. All windows have plantation shutters and hurricane shutters are stored in the garage. Florida living at its finest. This home is ready for the active retiree! Call now for your private showing. Listing provided courtesy of Ann Lee Realty Inc.